Georgi Packoria was born in Tbilisi, Georgia. He graduated from the Faculty of Decorative Ceramics and Glass of A. Kutateladze Art Academy. Already in his first year he conceived the project “1001 Tea-Pot Like Sleepless Nights Scheherazade” and implemented it. It took 30 years. Currently, the artist is working on wine vessels, since wine-making traditions are closely linked to the ancient ceramics. 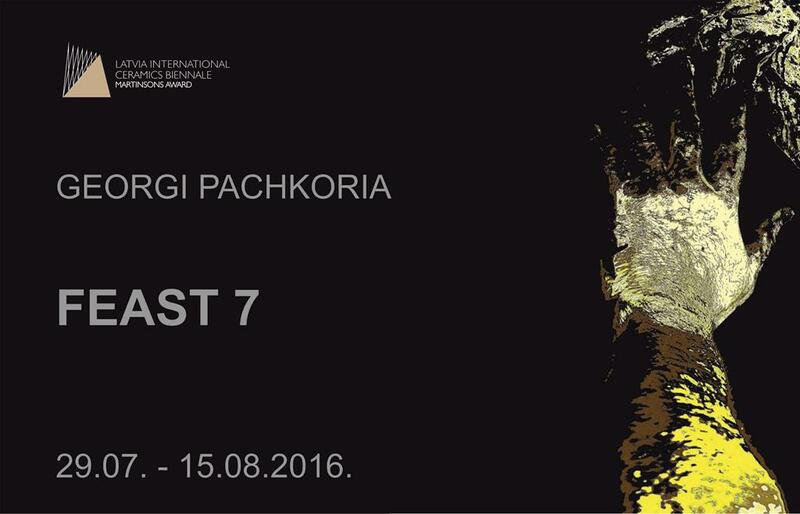 Georgi Pachkoria regularly takes part in international symposia, he has arranged more than 17 solo exhibitions. In 1996, together with his wife and former classmate he created a children’s school of ceramics “Clay hands”, which is successfully operating to this day. In 2009, together with his colleagues Georgi Pachkoria founded “Clay Office” at the Academy of Arts. Within the framework of the 1st Latvia International Ceramics Biennale Georgi Pachkoria participated in Residence at Ceramic Laboratory. Inspired by Daugavpils and Latvian nature and culture, the artist created unique ceramic artworks. In the exhibition “Feast 7” the works created especially for this occasion are being displayed.